Home Latest Current Affairs Daily By Edusafar Date:-01-06-2016. 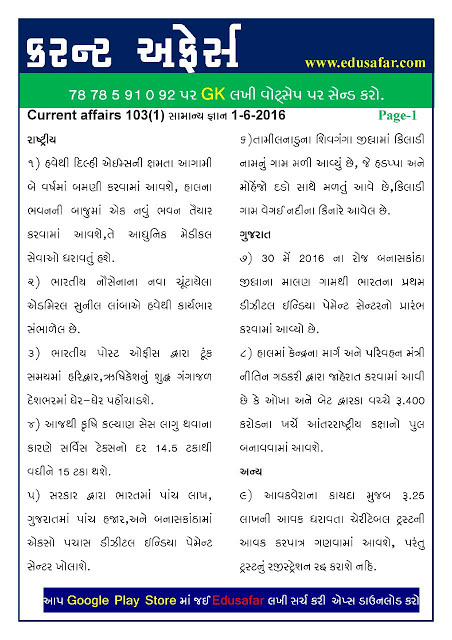 Current Affairs Daily By Edusafar Date:-01-06-2016. 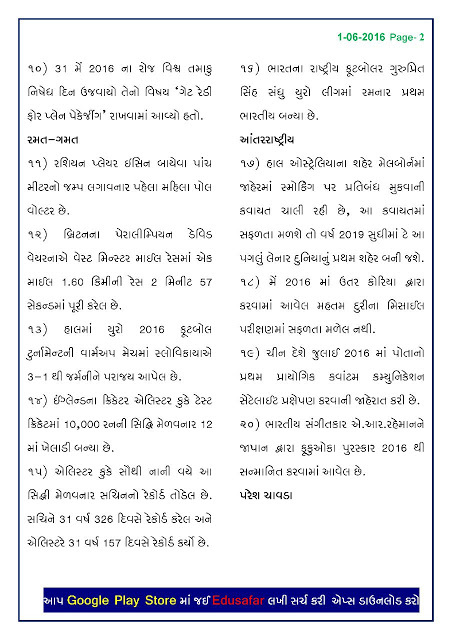 Competition Exam ki Taiyari Ke Liye Read Kre Current Affairs Daily By Edusafar. Previous articleLatest News:- Khatakiy Exam Me Se Minas System Nikalne Related Latest Pariptra. Next article$avdhan…!Kya Aap 3 Hours Se Jyada Computer Pe Rhte Ho…Must Read.